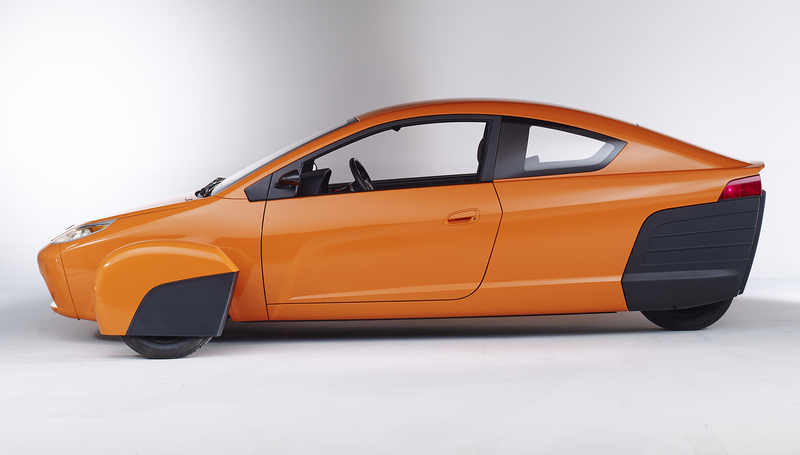 Elio Motors announced that reservations for its aerodynamic, enclosed 3-wheel vehicle surpassed 10,000. The high level of interest is evidence that consumers are clamoring for an entirely new type of transportation option, according to Paul Elio, Founder and CEO of Elio Motors. The vehicle, which is slated for production in 2015, will have a sticker price of $6,800.00, will achieve 84 miles per gallon fuel efficiency and is engineered to achieve a 5-star crash test safety rating. The vehicle is perfect for individual commuters looking for an inexpensive and fuel efficient mode of transportation, but who also yearn for a unique expression of their passion for driving. Owners of low-mileage “clunkers” who would realize a net gain financially by purchasing one of Elio Motors’ vehicles. Reservations can be made at Eliomotors.com and range from $100 to $1,000. A non-refundable reservation provides customers with an additional discount worth 50 percent of the initial deposit (a $1,000 deposit would receive an additional $500 toward the price of a vehicle at the time of purchase). Although refundable deposits can be made, more than 80 percent of customers have opted for the non-refundable reservation, again reinforcing how strongly consumers feel about this vehicle. The Elio will come with standard features such as power windows, power door lock, tempered glass, three airbags, and an AM/FM radio. The vehicle will feature an eight gallon tank, which enables drivers to travel more than 670 miles without filling up and a Safety Management System comprised of reinforced roll-cage, Anti-Lock Braking System and 50 percent larger crush zones than a similar vehicle. Elio Motors’ supplier partners include Altair, IAV, Comau, NEWTECH 3, Cooper Tires, Irvin, Henkel, Admiral Tool, Technosports Creative, Cooper Standard, Dakkota Lighting Technologies, LLC, Detroit Thermal Systems, Eastern Catalytic, Guardian, Mando Corporation, Kiekert, Lear Corporation, Peterson Spring, Plastics Research Corporation, Superior Roll Forming and Takata. About Elio Motors: Founded by car enthusiast Paul Elio in 2008, Elio Motors Inc. represents a revolutionary approach to manufacturing an ultra-high-mileage vehicle. The 3-wheeled Elio will attain a highway mileage rating of more than 80 mpg while providing the comfort of power windows and air conditioning, accompanied by the safety of multiple air bags and an aerodynamic, enclosed vehicle body. Elio’s first manufacturing site will be in Shreveport, La., with plans for the first production vehicle to roll off the assembly line in 2015 and significant production, sales and distribution during the next two years. 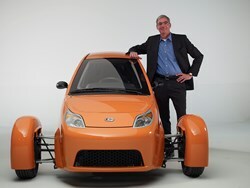 For more information, visit http://www.eliomotors.com or http://www.facebook.com/ElioMotors.